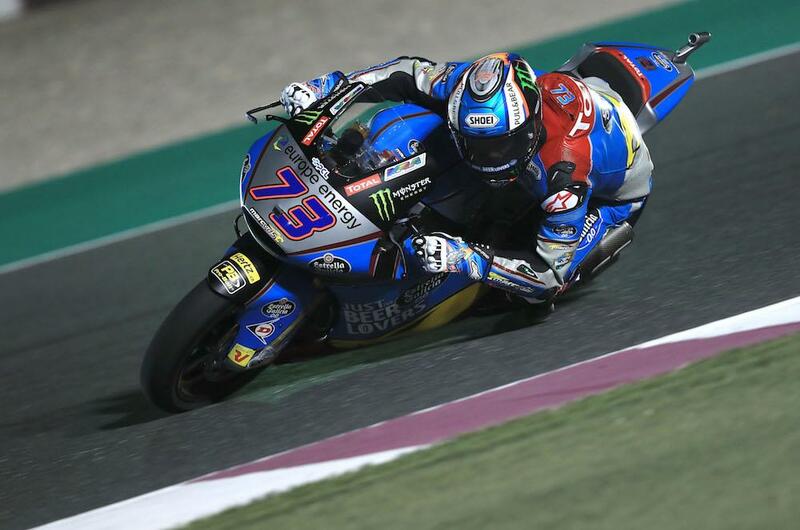 Alex Marquez led the way as the 2018 Moto2 World Championship got underway in Qatar to top the overall day one timesheet from Britain’s Sam Lowes. 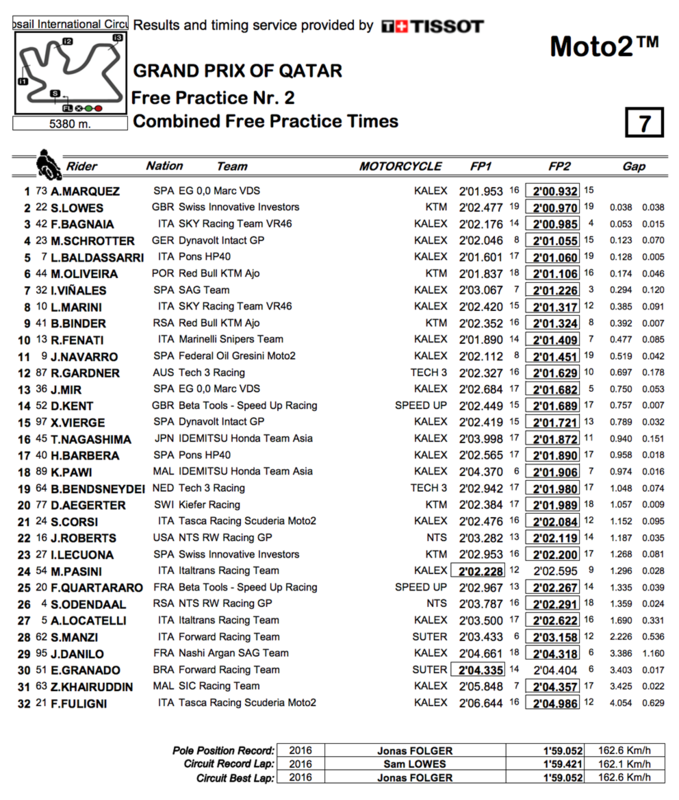 A change to the schedule for the Qatari round sees the Moto2 free practice sessions taking place earlier in the day, with the opening session held in full daylight and this afternoon’s second outing at dusk – the same time at which Sunday’s race will commence. Marquez, fourth quickest in FP1, posted a time of 2’00.932 to sit just 0.038 seconds off Lowes, who returns to Moto2 after a tough year in the premier class with Aprilia. It was a close fought opening day for the intermediate class with Italian Pecco Bagnaia just 0.015 seconds behind Lowes in third. Marcel Schrotter got things off to a strong start for the Dynavolt Intact GP squad to sit fourth quickest, just over a tenth off Marquez’ quickest time with Pons HP40’s Lorenzo Baldassarri fifth. Factory KTM rider Miguel Oliveira was sixth ahead of Isaac Vinales and the second VR46 Kalex of Luca Marini. Former Moto3 World Champion Brad Binder placed ninth with class rookie Romano Fenati tenth quickest for the Marinelli Snipers team. Making his Moto2 return after losing his ride mid-way through last season, Danny Kent was 14th quickest for Speed Up, just 0.007 seconds behind reigning Moto3 World Champion Joan Mir who steps up to Moto2 with the championship-winning Estrella Galicia Marc VDS team.